Black Friday and Cyber Monday offered some of the biggest discounts we’ve ever seen on just about all of the most popular products out there this season. But it was also a great time to pick up accessories for all those gadgets at shockingly low prices. This was especially true of memory cards, since SanDisk’s best-selling microSD cards were on sale at all-time lows across every available capacity. Wait, did we say they “were” on sale? Don’t worry, they still are! It’s not too late to snag SanDisk Ultra microSD cards in any capacity you want at the lowest prices we’ve ever seen. 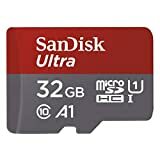 Amazon has the 128GB of storage for just $19.99, and that’s the top-selling capacity across the entire series. In fact, it’s the single best-selling microSD card on All of Amazon. 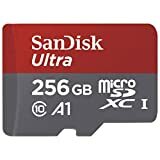 The 256GB card is just $44.99 and the massive 400GB card is no 60% off, which is actually an even lower price than what we saw on Black Friday and Cyber Monday. Check out all the deals below.